I mostly write Young Adult books, but I like to enmesh different, although related, subgenres to create a more interesting and appealing to a wider audience story. 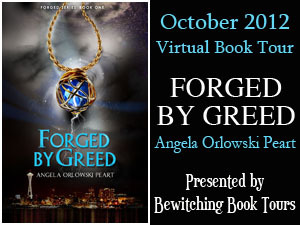 In the Forged Series I interlace paranormal romance with elements of high fantasy, while the story is firmly set in today’s reality, which puts it also in contemporary subgenre. I couldn’t really label any of the mentioned above subgenres as my favorite. I like all of them, and that’s the reason why I combine them into one. Sometimes the title pops in my head while I write the first draft, and sometimes I know it before I even type the first sentence. 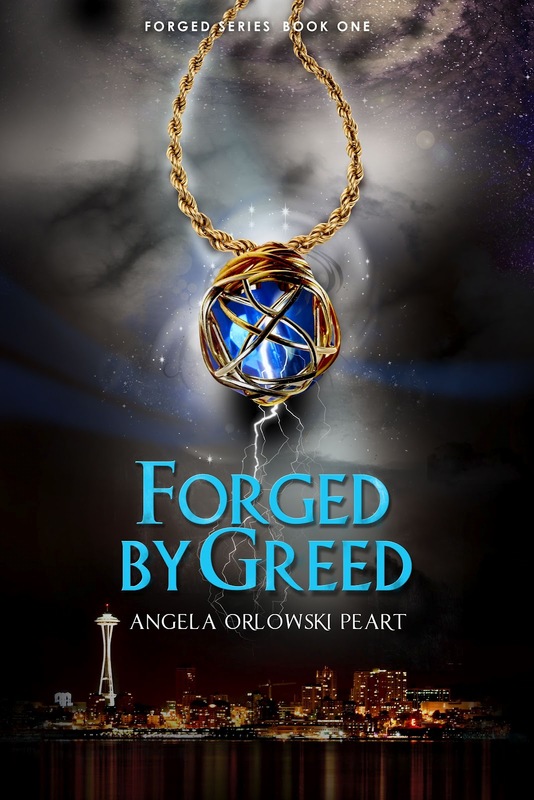 Forged by Greed went through at least three titles until I decided to keep this one. And I already have the title for the second book in The Forged Series—Forged by Synergy. The second book in The Forged Series, Forged by Synergy, is scheduled for publication in the early summer of 2013. There are new developments of the story that take root in the ending of the first book. There is a new conflict, and all the characters—the main and the secondary—are forced to deal with the brand new personal challenges. Plus there will be a new antagonist. I am also working on a novella introducing a new sci-fi series. This one will be published in spring of 2013. The story takes place some 50 years from now, when our world is provided with an amazing technology, but human flaws, feelings, and relationships are still similar to what we all currently live with. Writing is a never-ending learning process. In addition to constructing a compelling story, believable conflict, and realistic, easy-to-connect-with characters, I need to make sure the overall flow of the plot is flawless. I am a perfectionist, and that adds to the challenge. I keep rewriting the scenes and even change the characters until I feel completely satisfied with the story. Fortunately I can conduct most of my research on the Internet and in the local library. Forged by Greed and the rest of The Forged Series take place in Seattle, where I live, and sometimes I just go to a certain place in town to do a “close-up” research. That’s always a great excuse to grab lunch in one of Seattle’s restaurants, or go browsing in the urban boutiques. It was Jeannie Ruesch. I fell in love with her designs and I knew right away that Jeannie can create a perfect cover for Forged by Greed. I think we, authors, should write for the readers, and not for the market. We need to tell the story that needs to be told, and never write it to just sell and make money. We should always put the passion first, and strive for the best quality of writing. We should publish only the polished, ready-to-be-released books. The women came to a clearing in the woods, where a pond shimmered, encircled by a thick row of colorful flowers. A few white water lilies dotted the surface of the water, their large leaves providing a resting spot for huge dragonflies. Jasmira opened her mouth in awe. Amber watched her, smiling. Jasmira gave a shaky laugh, unsure if Amber was making fun of her, or if the question was genuine. She decided it was a joke, and relaxed. Amber motioned for her to follow toward the pond. Jasmira gasped—now the water lilies were clustered at the opposite edges of the pond, like a curtain that just opened to reveal a main stage behind. An image of several leopards playfully chasing each other appeared on the surface. The pond radiated a soft light, and the image retained a fluid-like look of the water. Right above the water appeared a shimmering, vapor-like substance. Long thin wisps of vapor swirled lazily around. It reminded Jasmira of a ghost, and she glanced at Amber, unsure of what to expect. Standing by the edge of the pond, the Goddess whispered something in a language long forgotten. The foggy matter slowly rose and sculpted itself into a translucent form of a slim woman, her hair cascading down to the water. Right next to her, the figure of a young man started to form and lift. His hair was shoulder length, and he was taller than the woman. Jasmira’s heart pounded, and she thought her breathing was the loudest sound around. Moving closer to the Goddess made her feel safer. Amber touched Jasmira’s back, smiling reassuringly. The figures floating in front of them turned their faces to look at Jasmira. Their large eyes had the look of a smooth stone sculpture. The ghostly couple remained unmoved, their stone-like eyes fixed on Jasmira. They didn’t speak, only stared at her. Jasmira felt a trickle of sweat rolling down her neck and back, and her legs trembled. The light emanating from the water became thicker and brighter, completely enveloping Hêtshepsu and Banafrit. It started to form a dazzling column of a liquid fire around them. With a burst of scorching air, it shot up straight to the cloudless sky. Jasmira shrieked and covered her face, instinctively taking two steps back. She heard the Goddess’s tranquil voice in her mind telling her to calm down. Jasmira looked at Amber incredulously, her mouth open. Two huge ghostly leopards jumped out of the light, and disappeared into the woods. “What was that?” Jasmira screeched. Angela can be found on her website, Facebook, Twitter, Google+, Pinterest, Linkedin and Goodreads. Thank you for hosting me today, Roxanne.